Recusal motions: When you strike at a king, you must kill him. « Hercules and the umpire. Recusal motions: When you strike at a king, you must kill him. The quote (not the graphic) in the title of this post is attributed by some to Ralph Waldo Emerson. But, the fog of history makes that attribution questionable. That said, the quote nicely describes the primary factor a litigator must consider when determining whether to file a recusal motion based upon a trial judge’s statements concerning the case (or related cases) while the judge is presiding. If you file the motion, you best win it. At the federal level, the law on recusal is judge-centric. You have a really rough road getting a trial judge thrown off a case during the pendency of the matter unless your case fits one of the few categorical recusal requirements like a judge owning stock in a party. The bias against forced disqualification is particularly true where the judge says something about the case he or she is handling. In a “hot off the press” opinion written in a style that I greatly favor because of the clarity and simplicity of it, Judge Hamilton* of the Seventh Circuit, writing for himself, Chief Judge Wood and Judge Posner provides a nice illustration of my point. Milwaukee and its police chief now seek to force the judge aside by petitioning for a writ of mandamus. (For convenience we refer to both petitioners as Milwaukee or the city.) The plaintiffs in the underlying cases have filed a joint response arguing that the petition should be denied. We conclude that Milwaukee’s petition for a writ of mandamus must be denied. What follows in 10 pages of plain prose (that even the press understood) provides a tutorial worth reading. If you decide to read the opinion, I would be interested in your views. *Judge Hamilton was a distinguished federal trial judge before he went to the Seventh Circuit. I appreciated the clarity of his opinions as a district judge, and I am glad to see that same style prevail as a Circuit judge. Judge, to me, the opinion reiterates what every practitioner should know: it is exceedingly difficult to force a judge’s recusal. 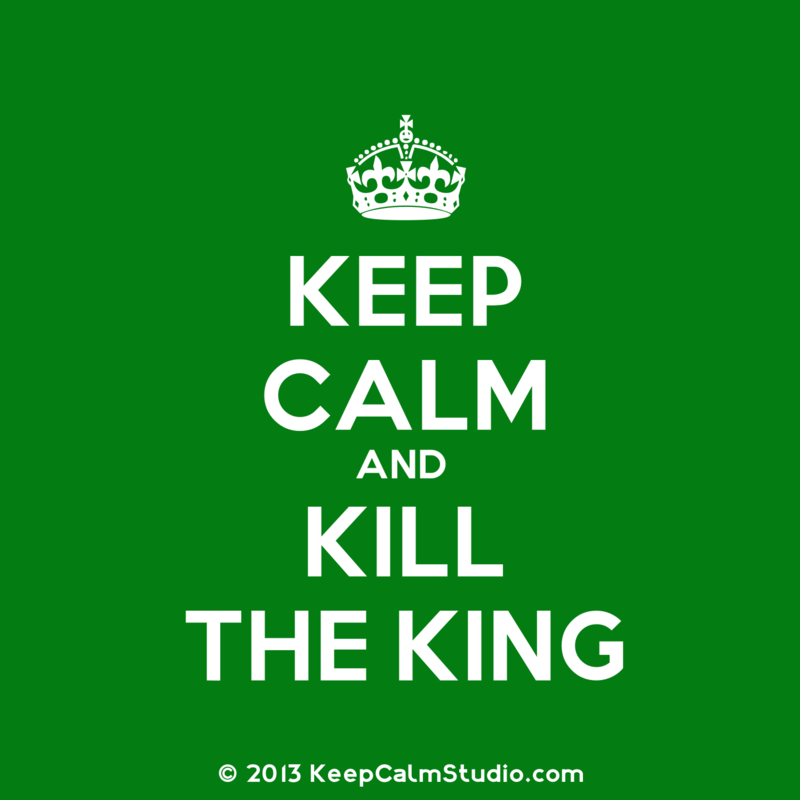 Thus, your point about the need to kill “the king” is spot on. Having only filed one recusal motion in my career — that eventually was successful but not directly for the reasons listed in the motion — it was something that we did not take lightly for fear that we could be unsuccessful and worsening our position. I’d be interested in knowing how judges react to recusal motions and whether they (a) treat the unsuccessfully moving party with additional ire for having to address the issue or (b) are more cautious with rulings in an effort to be (or even just appear) fairer. Your point is definitely well taken. Many judges take personal offense to recusal motions and some even appeals. In Missouri each party has one change of judge as a matter of right (which I think should be available in all jurisdictions and in the Federal Courts as well) but since it must be taken at the outset it doesn’t help much if concerns about the judge arise later on.things available. That said, in my experience the best judges don’t take themselves so seriously that they get worked up by a recusal motion or the prospect of being turned over on appeal. For example based upon reading your blog I’m having a hard time imagining you getting bent out of shape but I suppose it may depend upon the nature of the allegations. Generally speaking I couldn’t give a rat’s @$$ what folks think of me but question my integrity and thems fightin’ words! LOL Yes, you are correct I did not look back at what I had typed before posting. I have to disagree with your sentiment Judge. A judge who punishes a party for moving for recusal is exactly the kind of judge who should recuse himself. Judges should encourage non-frivolous challenges. In the Milwaukee case, one party made a non-frivolous challenge to the judge’s impartiality. The challenge was rejected and the appeals court affirmed with a ruling that’s easy to understand. That result is far better than an attack (likely through a third party) on the judge in the press designed to undermine public confidence in the process. A judge is not a king, nor should he think of himself as one. More to the point, imagine you’re a defendant (criminal or civil) and you’re attorney says: “Yes, the judge is biased against you because (you’re black) (you’re gay) (you like gravy on your french fries) (insert other reason). But we can’t challenge him because then he’d _really_ hate you.” That hardly inspires confidence. Your point is well taken. But, here is the reality. A judge like me (and I think most federal judges) would never consciously punish anyone for filing a recusal motion. But the case cited in the text of the post is one where the motion was from the outset doomed to failure. The judge will now handle the case as fairly as he knows how and will do his best to ignore the motion. But it is asking too much of a human being to expect that the subconscious mind is capable of putting the implicit slight out of mind. You’re certainly right that the judge is unlikely to forget the motion. But I think that’s a good thing for a good judge. It gives him additional reason to be cautious and deliberate in his rulings. You are very adept my friend. That said, being overly cautious in order to overcome an “implicit bias” is, perhaps, a cure that is worse than the disease. All the best. The rule you refer to contradicts (as you say) the relevant statutes, at least implicitly. Compare 28 U.S. Code § 455 with 28 U.S. Code § 144. It is also a bad idea to boot. The only time such a motion should go to another judge is when a sufficient affidavit is filed within the meaning of the relevant statute. It is a bad idea because it does not comport with the statutes, because it is overly cautious, because it slows case progression, because it makes unnecessary work for other judges, and because the judge assigned to the case knows more about the recusal context than the judge who gets a random referral. Zachary and I had a discussion about the question you ask at the end of your comment. That exchange addresses both of the points of your inquiry. I refer you to that back and forth. By the way, the first and only recusal motion I ever filed as a practicing lawyer was granted by a state court trial judge before whom I had to practice each week. In fact, it was the first motion I filed as a practicing lawyer. My partners later told me that they had me file and argue the motion to “see how you would do.” Oh, sure! Neither my clients nor I were ever substantively punished for it by the judge, but I did spend two years taking commands from the judge in other cases like, “Mr. Kopf, I’m sure you don’t mind, go get me a cup of water” or “Mr. Kopf, I’m sure you don’t mind, but go find my court reporter.” My response was consistent with my brave heart, that is, I said: “Yes, Judge” and promptly scurried away to perform my assigned task. After two years, the judge and I gradually became friends. But, I still fetched stuff for him. That was what young lawyers did back in the day when we ate lard sandwhiches for lunch. The one recusal of right practice won’t work in federal courts that are small. It would create havoc and judge shopping. By the way, that bad rule is, I think, why Missouri consistently got beat by Nebraska in football during the Big 12 years even though Mizzou’s coach is from my old home town, Toledo. I might be wrong about this last sentence, but I doubt anyone can prove it. How I loved Shelby Foote both as a writer of great beauty and a person to be admired for his genteel qualities. Thanks for the reminder. All the best. The motion itself bordered on the frivolous. The Liteky standard is so high that no serious practitioner would risk it under this set of facts. The real problems occur when the judge is a BFF of a litigant or attorney (see e.g., Judge Kent and Richard Melancon). In all but high-profile cases, federal judges only recuse sua sponte when they don’t want to hear a case, and then, sitting next to the attorney in second grade is enough. But if the BFF is in a world of hurt, anything short of past sexual relations won’t keep the judge off the case. In Florida, every judge is presumed corrupt until proven otherwise. Recusal law is clear as mud because judges do whatever they want, as their decisions are (almost) never overturned on appeal. It is amazing how clear an opinion can be when the case is an easy one. I’m an Illinois trial court judge, and our rules are similar (apparently) to those in Missouri– one free recusal for each side per case. And like many federal districts, we have many one-judge counties and it wreaks havoc. Also, many of my colleagues get seriously upset when these motions are filed. All of this being said, recusals by right are rarely filed. I have only had two filed to ditch me in almost four years. In the rare instances where a particular judge faces a flurry of such motions, it’s usually backed up by good reason–typically open animus by the judge against the moving attorney or vice versa. Still, I loved it when I practiced, and have little problem with it from this side of the bench. Also, I love nearly every 7th Circuit judge’s writing. Outside the 7th, only Judges Kozinski and Gorsuch compare.